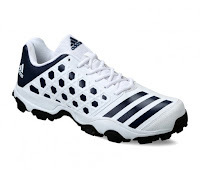 adidas cricket shoes 2017 India, adidas cricket shoes online india, adidas cricket shoes price in india, buy cheap cricket spikes shoes online, cricket spikes shoes sale. Looking for Cricket Shoes? Your 2017 guide to what’s coming up! Up for a new match? Up next in the list, we have the brand new Adidas 22 yards trainer 17 cricket shoes which come with extra classy and sharp looks. Designed with synthetic leather upper, perforated for better breathability and aggressive rubber outsole with SPEED GRIP makes the traction and grip better. Additional comfort courtesy the EVA midsole and the adiprene cushioning make it a professional choice. Greater durability and better support during various transitions make these shoes unbeatable. A wide fit never makes it uneasy!! These shoes are definitely bound to make your training sessions better! Crafted with care, these cricket shoes from the house of Adidas are just perfect! Designed to perfection, these shoes offer high in class comfort, unmatched quality and durability. Bestowing great ease during all sorts of transitions, these cricket shoes are your companion in impressing the audiences on the field. So, never let yourself down and climb up the performance hurdles, with these super supportive, attractive and stylish shoes! Class and comfort combine together for the bowlers on the field, the all new Adipower vector mid are here to deliver utmost grip and comfort. Featuring a mid-cut for excellent ankle support creatively crafted and combined with a modern outsole that lift you up and decreased the weight pressure. An EVA midsole matched with Adiprene cushioning provides best cushioning when constructed with an Internal Vector Strip. 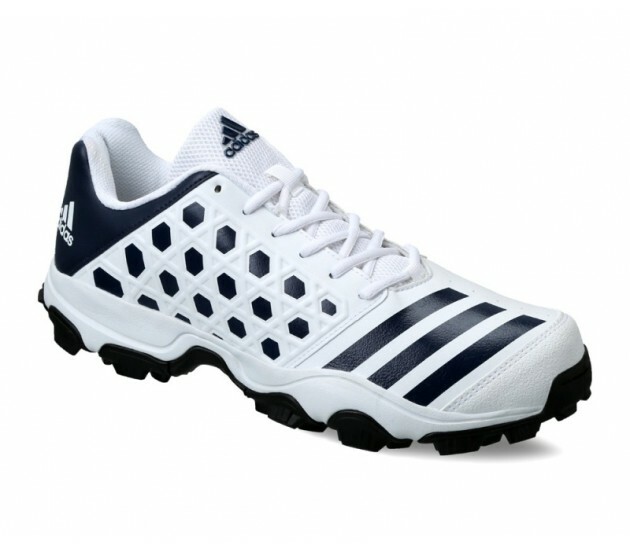 Throw in with the team as soon as you equip yourself with these Adidas Howzatt spike all-rounder shoes from Adidas’ Team! Featuring Adiprene cushioning for excellence of cushioning matched with great shock absorption. Constructed with TPU outsole for great level of stability and extraordinary GRIP, these shoes have a combination of running tongue and a soft upper for cozy fit. Mesh upper for breathability, stability and comfort make it worth an investment! Meant for the men on field, these all-rounder shoes are the definition of distinction. Designed with a totally new outsole, TPU for decreased pressure. Softer and lighter toe area and upper material for better comfort and ease of movement. Created with a band of power for excellent grip and support and keeping the feet in place. EVA midsole amalgamated with a beveled heel brings about additional cushioning and better movement during transitions. 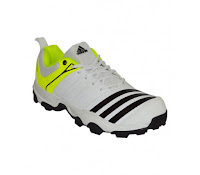 Gear up, the new Adidas SL22 Fs ii batsmen shoes are round the corner. A greatly designed and perfectly equipped pair of shoes is what makes the performance count. This pair of uniquely crafted shoes have a combination of running tongue, soft upper for extraordinary comfort. Distinctly designed outsole spoiler adds up to the surface area and grip while decelerating. Great shock absorption, adiprene cushioning and support in the key forefoot area aids multi directional movements. The cherry on the cake is the extraordinary lightweight and breathability of the product that make it 100% desirable! !